My mission this year is to Simplify Life and I have just printed a new card to kick this resolution into 2012 and show you that I mean business! Despite the millions of labor saving devices our ancestors never knew about, we are none the less generally too busy, stressed, over stimulated, overwhelmed and tired. It is the modern curse. So this year, I am going to focus my blog largely onto the subject of simplifying life. Physically and mentally. 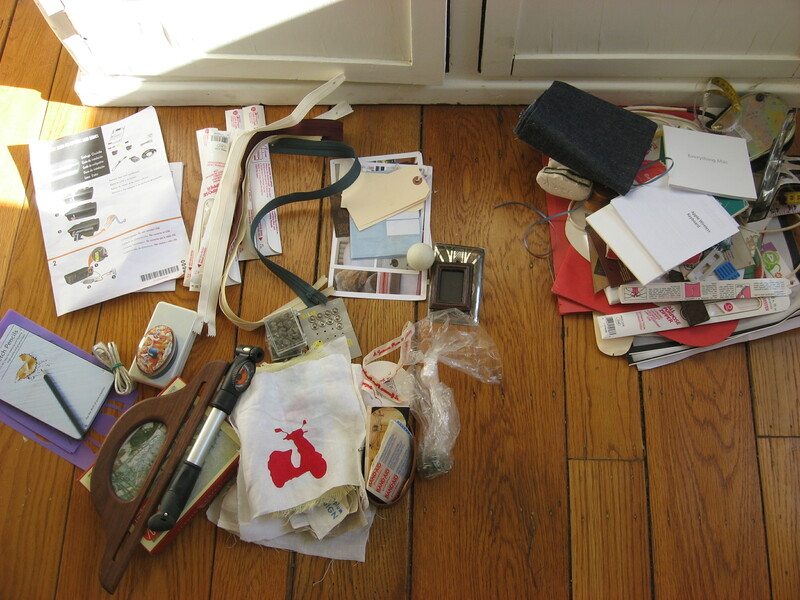 And I am going to start with the very physical world of ‘stuff‘. A world that we can, to a large extent, actually control and a world that can have a huge impact on our mental wellbeing. 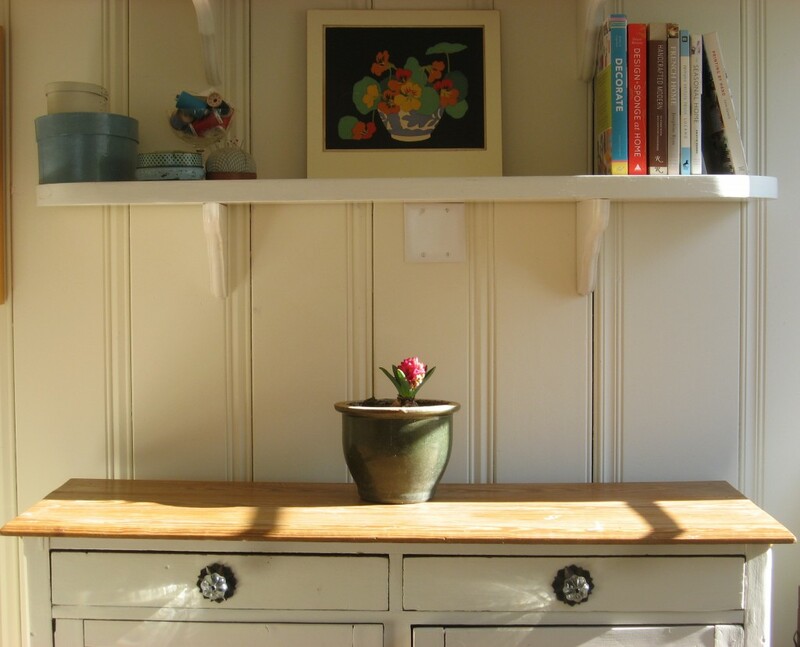 Imagine your home clutter free and ordered. No, I can’t either but you have to admit, it makes you feel good just thinking about it. 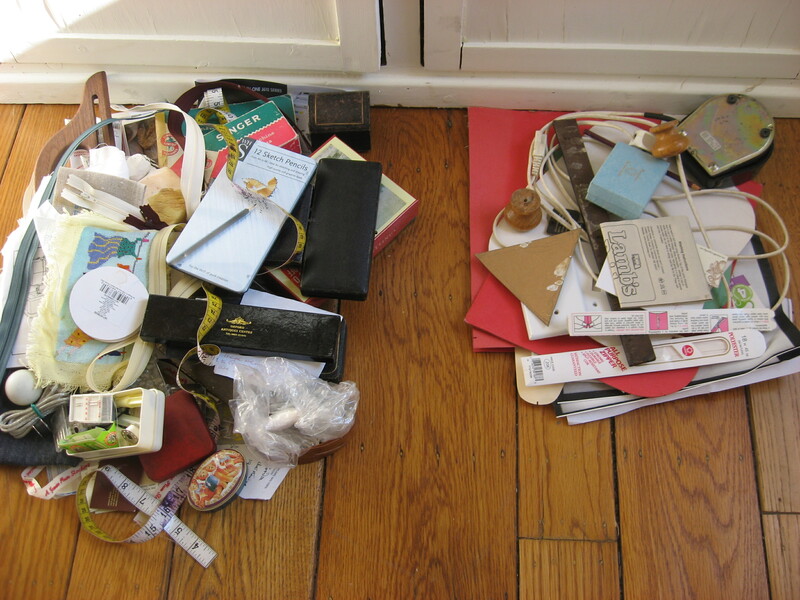 So, I am going to start small and kick off with some basic de-cluttering tips and one very manageable project. But the inside, these babies are filled with stuff. Who knows what’s in there? 1. 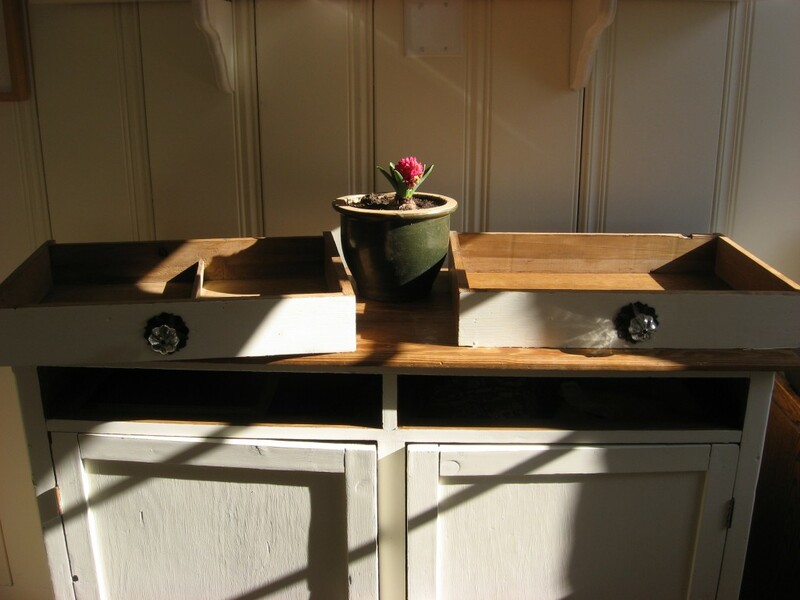 Take the drawers out and put them on the floor. 2. 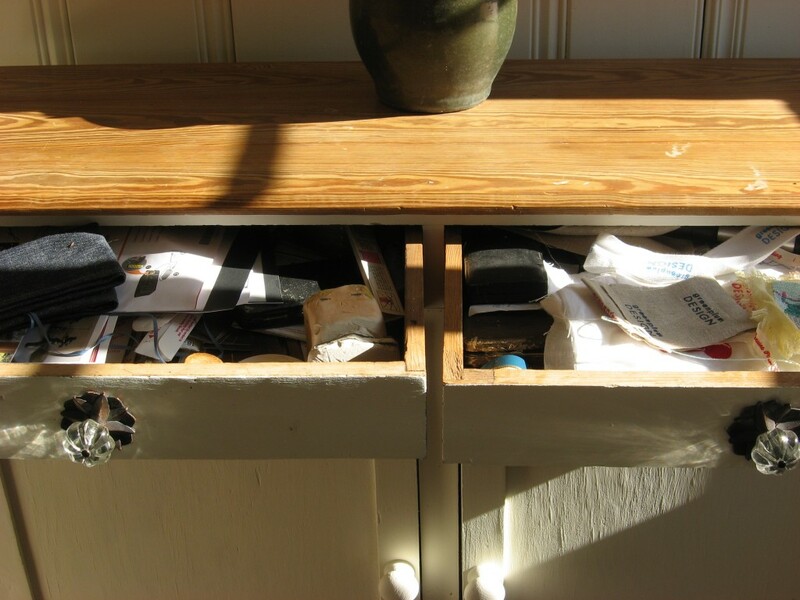 Take everything out of the drawers one by one and put in one of two piles – either KEEP or CHUCK. 3. 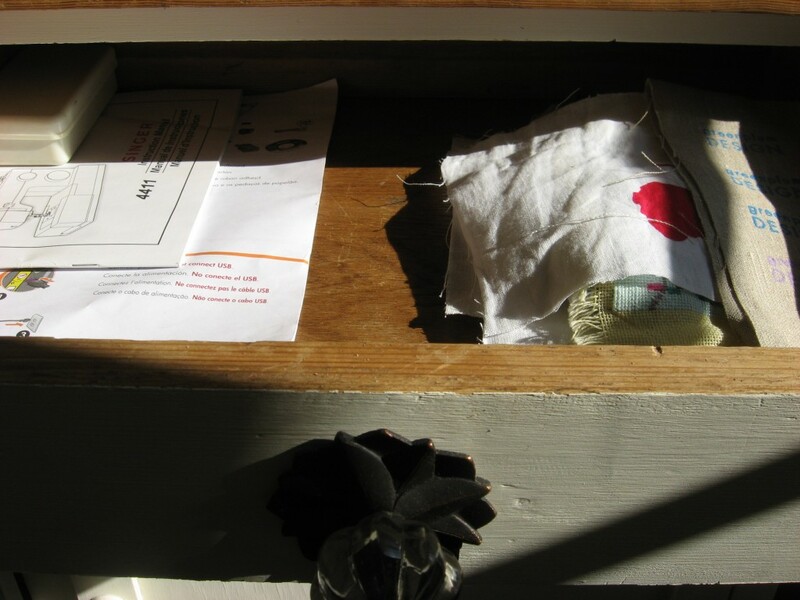 Clean out empty drawers with a damp cloth. 4. 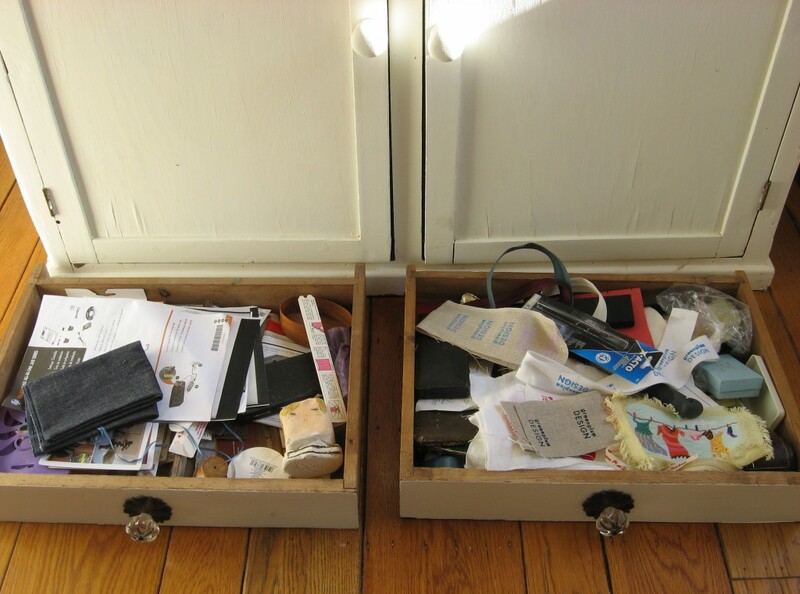 Go through the KEEP pile and decide what is going back in the drawers and what needs to be put back somewhere else in the house. Make little piles. 5. Throw away or re-cyle the CHUCK pile. 6. Scurry around the house putting away the bits and bobs from the KEEP pile that really live somewhere else and put everything else back in the two drawers in neat piles. There you go! That took me just under an hour and frankly, it made me want to do more. Now it’s your turn – let me know what you can do in one hour….and no more. I mean it, I am waiting to hear! ps. 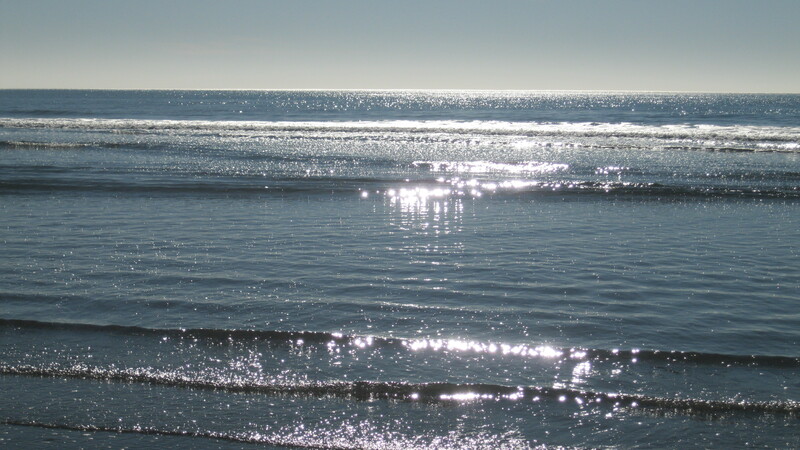 If you have jumped over from the lovely Beach Cottage, a big welcome! pps. 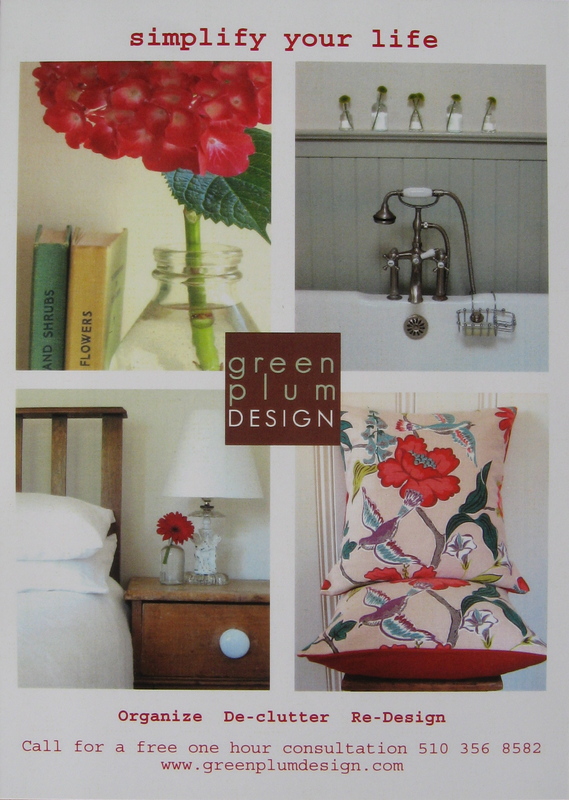 If there is someone you know who you think might like my blog, just send me their email address to roswyatt@greenplumdesign.com with SUBSCRIBE in the subject! Thanks for all the emails you have already sent. This entry was posted in Cleaning up, De-cluttering, Green Plum Design, Inspiration, Interior design, office, Organizing, Re-organizing and tagged Cleaning up, de-cluttering, green plum design, greenplumdesign.com, house makeover, interior decorator, interior design, re-organizing, Ros Wyatt, simplify, simplify your life, simplifying. Bookmark the permalink.